Dogwood trees have a reputation for decorating landscapes with a blanket of soft pastel purple, pink and yellow flowers in the spring. Certain trees are similar to dogwoods in size, shape and flowering patterns. Some people might even mistake these lookalike trees for actual dogwoods. Plant trees that produce contrasting colored flowers next to each other to create a pastel rainbow-like effect in your yard. Plant several types of dogwood cousins in your yard. 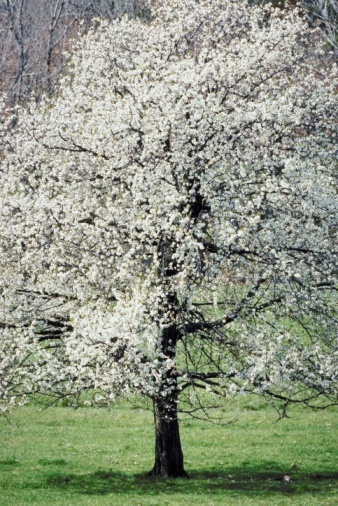 The Bradford pear tree is a hybrid that produces small red and orange fruit in the fall. 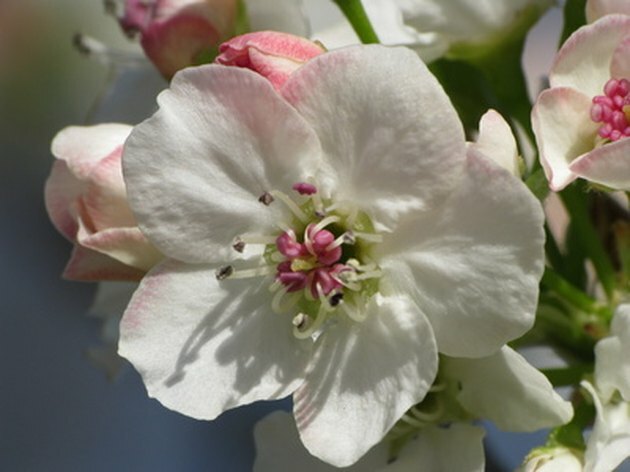 This tree also blooms vibrant soft pastel, pink and white flowers in the spring that look similar to dogwood blooms. Bradford pear trees also grow about the same size as some standard dogwoods. These trees can grow 30 to 50 feet tall and spread 20 to 30 feet wide. This tree produces a narrower canopy than other species. 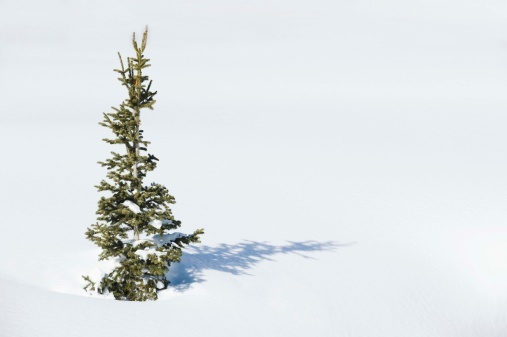 Plant your tree in moist, well-drained soil and space this tree 10 feet away from other trees to give it room to spread. You can place the trees closer together if you plan on pruning your trees once or twice each year to prevent overgrowth. The Princess Kay plum is hard to distinguish from a white dogwood tree. The Princess Kay plum tree is similar to smaller dogwood species. This tree produces soft white and yellow flowers in the spring, like dogwoods, and it can grow about 15 feet tall. However, the trunk of the tree is dark brown, making this tree more distinctive than dogwood trees. Good soil drainage is vital for this tree. 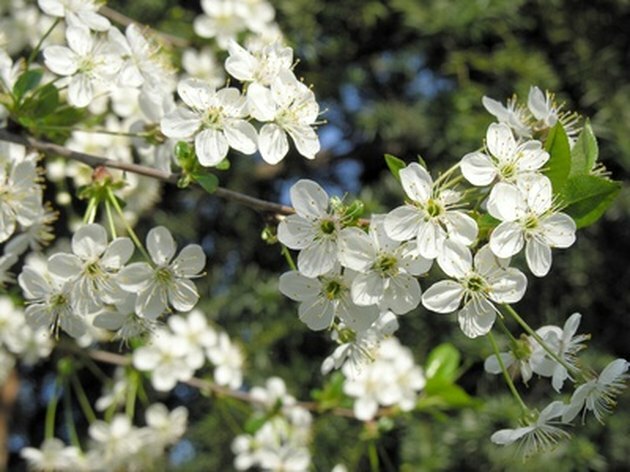 Plant your Princess Kay plum tree in nutrient-dense well-drained soil. This tree also needs full sun. The Japanese flowering cherry has a more oriental feel than other types of dogwoods. The Japanese flowering cherry tree looks extremely similar to pink dogwood trees. However, this tree doesn't grow quite as large as some dogwoods. 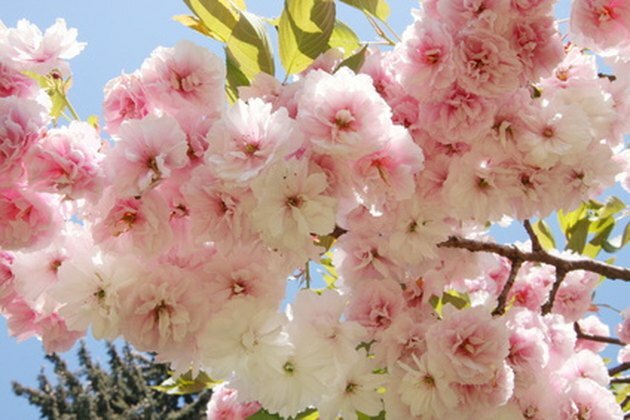 Japanese flowering cherry trees grow to about 10 feet tall within 10 years. The blooms are a mixture of pastel pink and white, and the foliage is light green. The flowers have a more cloud-like appearance than dogwoods. This tree needs full sun and nutrient-rich, well-drained soil. Pair this tree with real dogwoods and other dogwood look-alike trees. How Far Apart Can You Plant Dogwood Trees?